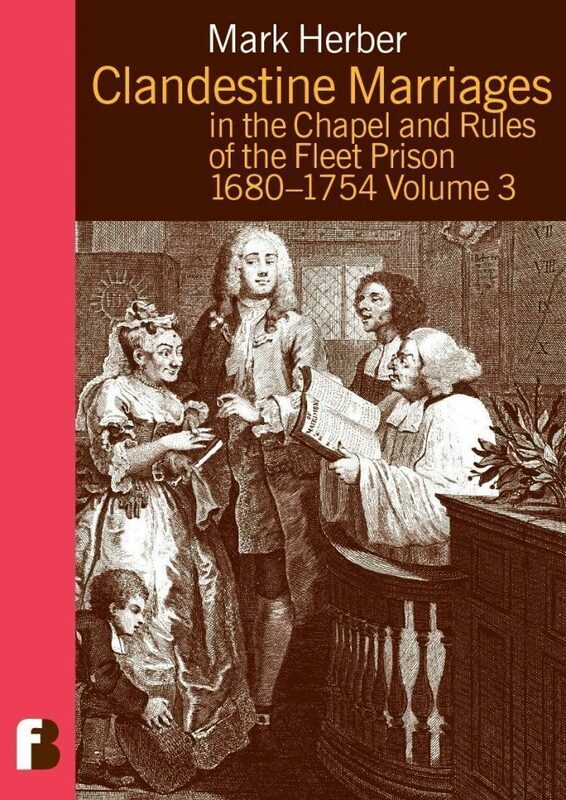 The third in a series of transcriptions of the registers of clandestine marriages which took place in and around the Fleet Prison in London between 1680 and 1754. Mark Herber describes the fascinating history of these marriages in his introduction and introduces four new registers and three notebooks, covering the years 1716–1719, 1726–1728, and 1740–1742. He also describes the evidence for Fleet marriages contained in settlement examinations of the poor. The registers are published with the author’s explanatory notes, page references for the original documents at the Public Record Office, and an index of places and surnames. Mark Herber is a solicitor who specialises in fraud investigations. He is a member of the Society of Genealogists, and has been tracing his family tree since 1979. He is the author of Ancestral Trails – the complete guide to British genealogy and family history, which won the 1997 McColvin prize for an outstanding work of reference.